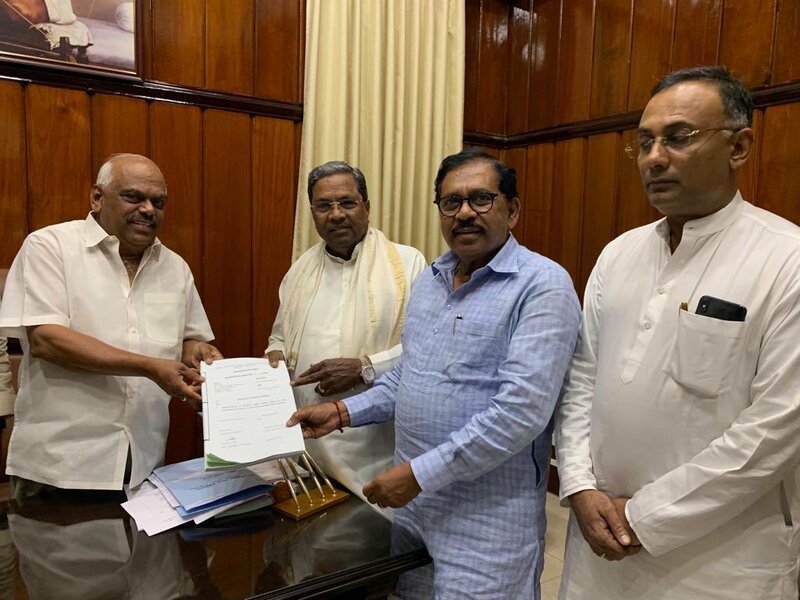 In a huge development, the Karnataka Congress on Monday formally requested the state assembly Speaker to disqualify four MLAs, who had failed to turn up for important party meetings despite whips being issued against them on several occasions. They are Ramesh Jarakiholi, Mahesh Kumatalli, B Nagendra and Umesh Jadhav. Shri. @DrParameshwara, Shri. @dineshgrao & I have petitioned the Hon’ble Speaker, to disqualify MLAs Ramesh Jarakiholi, Mahesh Kumatalli, Nagendra & Umesh Jadav under the rules of the anti-defection law, due to continued absence inspite of repeated notices & issuing of whips. ⁦@siddaramaiah⁩ and myself have petitioned the Hon’ble Speaker, to disqualify 4 of our MLA’s under the rules of the anti-defection law. With four MLAs being disqualified, the current strength of the Congress-JDS government will reduce to 114 in the 224-seat Karnataka assembly. The BJP has 104 MLAs. Two independent MLAs have already withdrawn their support to the ruling alliance and sided with the BJP. Until fresh elections are held in the constituencies of these four disqualified MLAs, the strength of the assembly will be 220, giving adequate majority to the ruling Congress-JDS alliance. The Congress-JDS alliance had alleged that the BJP had desperately tried to topple the government by luring their MLAs with crores of rupees last month. A leaked audio tape of BJP’s Karnataka President BS Yeddyurappa had shown him allegedly offer Rs 25 crores and a ministerial berth to the son of a JDS MLA.